30 Best Marilyn Monroe Quotes with Images! New Audrey Hepburn Commercial – Creepy or Cool? Home Other Actresses Marilyn Monroe 30 Best Marilyn Monroe Quotes with Images! Here are the BEST Marilyn Monroe Quotes I gathered from all across the internet. I really love all of these, so credit is due to the people who made these. I scoured for days to find the best ones so I hope you enjoy! If you want to learn more about Marilyn Monroe, here are some of the BEST facts about her. What are your favorite Marilyn Monroe quotes? If you’re gonna be two-faced at least make one of them pretty. Those eyes! She looks so beautiful! And her quote is so funny, she’s always finding a silver lining in things and she has a lot of witty remarks! One of the best Marilyn Monroe quotes in my opinion. Sometimes you just have to throw on a crown and remind them who they’re dealing with. It’s better to be absolutely ridiculous than absolutely boring. I love this quote! Gives me an excuse for my craziness! ANOTHER one of the best Marilyn Monroe quotes. If you can make a woman laugh, you can make her do anything. Fear is stupid. So are regrets. Keep smiling, because life is a beautiful thing and there’s so much to smile about. All I want is to be loved, for myself and for my talent. Things go wrong so that you appreciate them when they’re right. I am good, but not an angel. I do sin, but I am not the devil. I am just a small girl in a big world trying to find someone to love. Dreaming about being an actress, is more exciting than being one. I don’t want to make money, I just want to be wonderful. In spite of everything life is not without hope. All a girl really wants from a guy is for him to prove to her that they are not all the same. It’s better to be unhappy alone than unhappy with someone. I’m very definitely a woman and I enjoy it. I don’t mind making jokes, but I don’t want to look like one. I don’t mind living in a man’s world, as long as I can be a woman in it. The body is meant to be seen not all covered up. Sometimes things fall apart so that better things can fall together. This is one of my favorite quotes out of all these best Marilyn Monroe quotes because it’s so true! If I’d observed all the rules I’d never have got anywhere. A career is wonderful, but you can’t curl up with it on a cold night. Beneath the makeup and behind the smile I am just a girl who wishes for the world. I live to succeed, not to please you or anyone else. A girl doesn’t need anyone that doesn’t need her. Just because you fail once doesn’t mean you’re gonna fail at everything. Here are some of the websites (not all) that I used to gather the Best Marilyn Monroe Quotes. Next articleAudrey Hepburn Grandchildren – Who Are They & What Are They Doing? My name is Melissa. I like things that sparkle. I am a sucker for chocolate chip cookies. The best time of day is twilight. When I wake up, I always manage to have one sock on, while the other sock somehow vanishes - never to be seen again! The Audrey Hepburn Children – Where are they now? 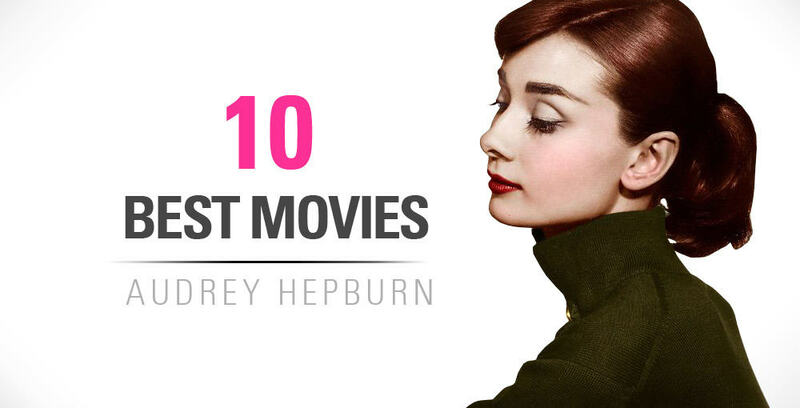 68 Best Audrey Hepburn Quotes with Images! If you think you have a cool website, and want to share backlinks, let us know! Make your own Holly Golightly Apartment! I have loved Audrey Hepburn ever since I was a kid growing up. It wasn't until later on in life, with my life struggles, that I grew so much more admiration for Audrey. She is the epitome of lovely, graceful, charming, and most of all kind. She is what I strive to be as a person. She has been such a great role model to me and countless other girls around the world in all shapes and sizes. This is website is my dedication to her and the hope and inspiration she still provides everyone today. Thank you Audrey.